Earlier today we saw some photos of the new HTC One M9 smartphone and now we have some details on what colors the handset will be available in. There will be three color options for the new HTC One M9 which will include a dark gunmetal version which will have the same color on the front and back. The other two color options for the HTC One M9 will include an old gold option which will feature a gold front and back and a gold and silver option which will feature a gold front and a silver back casing, these are the three colors that we saw in the photos earlier today. We are expecting the new HTC One M9 to be made official at Mobile World Congress next month along with the HTC One M9 Plus which will feature a larger display. The One M9 is rumored to come with a 5 inch Quad HD display with a resolution of 2560 x 1440 pixels, plus a eight core Snapdragon 810 processor and 3GB of RAM, the device will also feature a 13 megapixel front camera and a 20 megapixel rear camera. 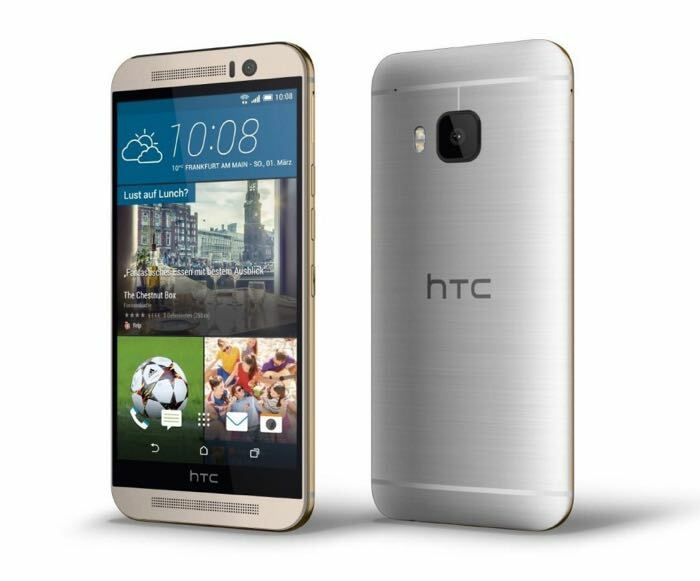 We will have more details on the new HTC One M9 when it is made official at Mobile World Congress 2015 in March.